Madden NFL 2009 is a real revolution in the American football video game world and has won many accolades from leading industry critics since its first release. I have found this game to be very entertaining and it has provided me with many hours of competitive gaming. The graphics are very good for the period it was released and it was definitely worth every penny. 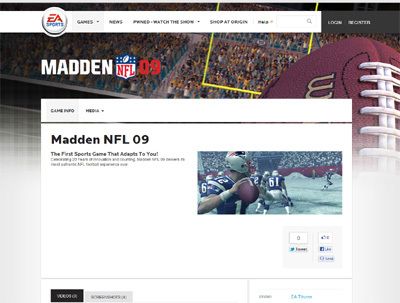 We have also compiled a Review System for this, of which Madden NFL 2009 is Rated as Four Stars, the second highest possible score available from the Game Review Team.